There are a few films which were blockbusters and has a potential to make sequels because of the powerful lead characters and backdrops. Saami, which was released in 2003 in Tamil was a blockbuster with Vikram as Saami under the direction of Hari. This was later remade into Telugu with Nandamuri Bala Krishna as Lakshmi Narasimha and was super hit. 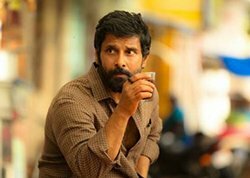 Now, Hari and Vikram are coming into audience with a sequel for Saami under the name of Saami Square which has Aishwarya Rajesh replacing Trisha and Keerthi Suresh as another heroine. 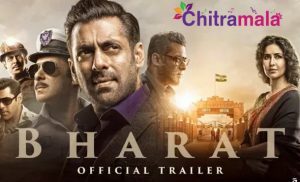 Trailers released so far are promising very heavy and ample does of commercial elements in a very fast paced Hari screenplay and shots. This movie is releasing in both Telugu and Tamil today and let’s see how it works on us. Ram Saami (Vikram) works as front office manager to a central minister (Prabhu). He write civil services exams to become IAS officer and await results. He then falls in love with Central minister’s daughter (Keerthi Suresh). He passes those exams with first grades and opts for IPS and gets his first posting in Vijayawada. His family gets horrified by his selection as they are unaware of his IPS choice. He then gets to know about his father Parasurama Saami, IPS and how he got killed in the hands of Ravana Bikshu (Bobby Simha) and their influence in Vijayawada. How he took revenge on Ravana Bikshu and how he saved Vijayawada from their influence is the rest of the story. Vikram is superb in this powerful cop role as Parasurama Swami and also as Ram. He shines well in action sequences and looks convincing with the heavy well fit body he has. Aishwarya Rajesh is good. Keerthi Suresh is fine as love interest of Ram. Soori tries to evoke few laughs and succeeds to an extent in that. Bobby Simha is menacing and at his violent best in the role of Ravana Bikshu. Prabhu is good as central minister. All other actors did a fine job in their roles. Story of Saami Sqaure is routine but the screenplay is filled with a lot of commercial elements and is super fast paced. Dialogues are okay and lyrics seem just translated lines of Tamil lyrics. Songs composed by Rockstar Devi Sri Prasad are just okay. They are very awkward to hear may be because of the translated lyrics. His background score is fine. Cinematography is fine and editing is crisp. Stunts and action sequences are composed well. Production values are apt. Saami Square is the story of Saami’s son taking revenge on antagonist for his father’s death. This simple revenge story is written with a very ample and heavy does of action sequences and bloodshed which run in a very fast paced way as Hari is the director who is very well known for that. First half fully takes to establish the premise and introduce the characters and Soori’s comedy track in between. Second half runs in heavy action mode. Hari shows his commercial angle very well in this half and it entertains well. Whenever songs come, they act as speed breakers and hinders the momentum of the movie. The tunes lack freshness and lyrics lack realness. Better songs could have made a lot of difference and this movie purely serves the full violent commercial movie lovers and it doen’t have any family elements like Saami did. To sum up, Saami Square is one time watchable movie for mass entertainer lovers.